Question: What Will Be the Verse You Contribute? What If Mr. Darcy Came to Dinner? What Should I Do with This Green Thing…? II. Are You Doing This on Purpose? XLIV. How Do I Get Home from Here? LXX. Where Am I Now? What If Mr. Darcy Came to Dinner…? Just How Did I Get Myself into This? Header Image: Sunset Farm, Naples, Fla. The Scheherazade Chronicles is dedicated to the development of storytelling and to raising awareness of and promoting access to the humanities for the edification and enlightenment of humankind, thus to save humankind from death by the cleaver of ignorance. When you click on the post title you should be able to comment. We’re presently enjoying an entr’acte, here, a quiet stage. So, I thought I’d take this time to compose an overture. This is the most beautiful love letter. I can well relate to Jefferson’s feelings, to where I could write a love letter on the same thought. On the other hand, if I could write as well as Jefferson, they would have asked me to write the Declaration of Independence. Anyway, I wasn’t available at the time (unless there in an earlier version of life). Jefferson wrote his letter with his left hand. He dislocated his right wrist in September of that year apparently when he attempted to jump a fence in the Cours-la-Reine. His injury cut short his sightseeing with Maria Cosway, for he was forced to remain housebound for a month. The two surgeons who attended him did not set his bones well, thus he suffered wrist pains for the rest of his life. 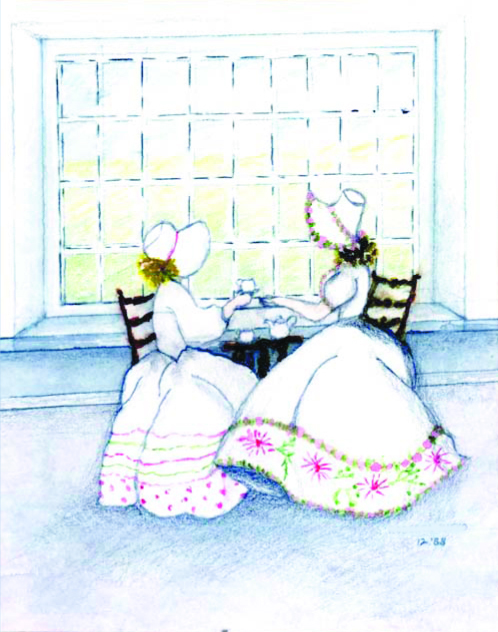 Thomas Jefferson and Maria Cosway saw each other occasionally again in the autumn of 1787 when she was visiting Paris. She broke their final appointment on the morning of her departure, so they had no final farewell. Their romance lasted more than three years, recorded in their private billets-doux. Back in his beloved Monticello, Thomas Jefferson had his library. Just think, though, that in his love for books, he had no access to the great literature of the 19th century. He loved music and played the violin until he injured his wrist. He couldn’t visit an online music library and download a song, but, in Paris, could attend the Academie Royale de Musique and listen to a Gluck’s Orphée et Eurydice Overture. Yet he could not watch a performance of the magic-fingered “rock star” of his time, Niccolò Paganini, still a child. And, I can’t imagine living without the music of Chopin. He could not attend a performance at the Paris Opera Palais Garnier, not yet built, nor listen to Tchaikovsky’s 1812 Overture – Tchaikovsky hadn’t been born. Mozart had only just completed his opera Le Nozze di Figaro in April 1786, with its popular overture, and conducted the first performance on May 1 in Vienna. Jefferson’s fractured wrist postponed his trip to the South of France, and in any case, he couldn’t slip over to Israel on a side trip. The Opera’s cellar was built on top of an underground lake and stream. Writer Gaston Leroux explored the outer parts before the opera house was completed, including the cellar, which at one time was used as a torture chamber. 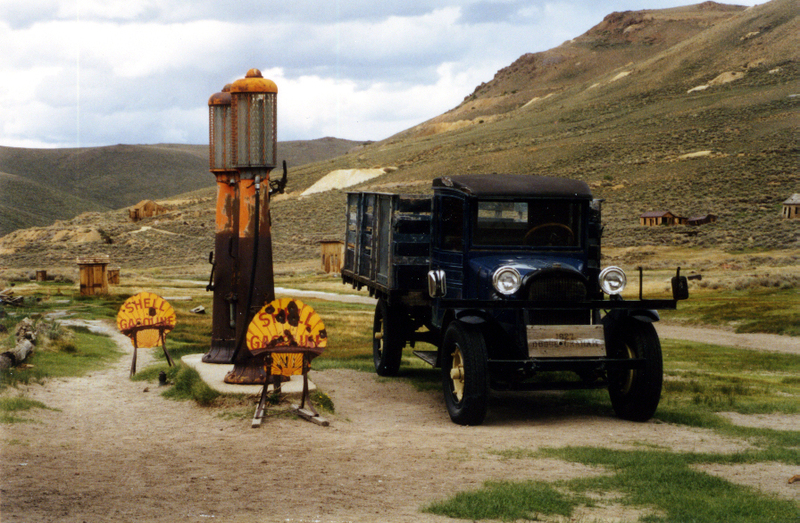 In 1896, a counterweight fell from the six and a half ton chandelier killing a patron. This tragedy sparked Leroux to write The Phantom of the Opera, a horror romance describing the end of a ghost’s love story. 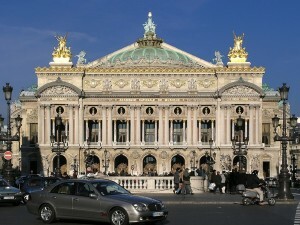 Supposedly, the Paris Opera ghost does exist. Doesn’t every theatre have a ghost? 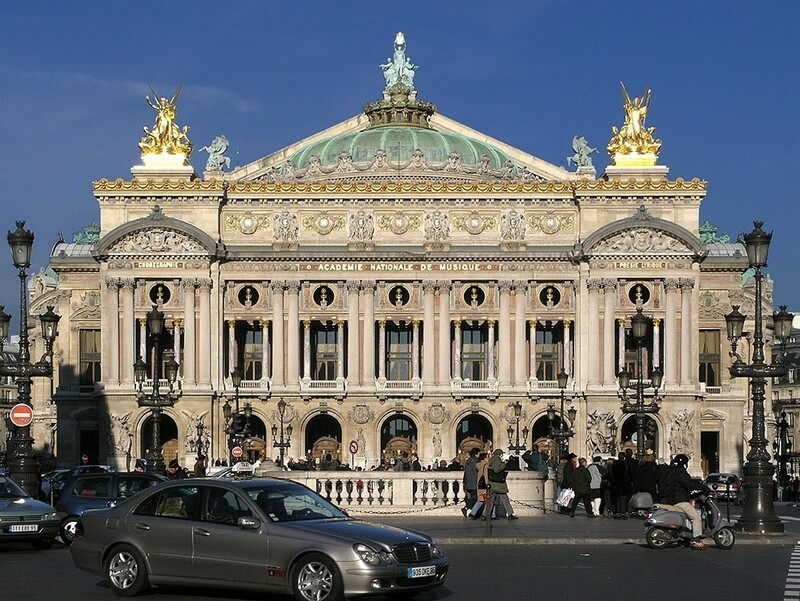 Today the Paris Opera uses the Palais Garnier mostly for ballet performances. The great 20th century violinist Yehudi Menuhin performed at the Academy of Music in Philadelphia. Emma was in the audience to see him in the 1930s. She saw Benny Goodman and his band perform at Carnegie Hall in New York City around then, too. When I was a teenager, Emma took me to see Gene Krupa playing drums on the Steel Pier in Atlantic City. I stood right in front of him. Some years later, I stood in front of Eric Burdon at the Whiskey a Go-Go on the Sunset Strip. We could have shaken hands. Another time, I sat in the Los Angeles Music Center Dorothy Chandler Pavilion orchestra section, near the stage, to see a young Zubin Mehta conduct. I took my daughter. She was elementary school age, the present age of my two granddaughters. We were amused by the cellists, when idle, making subtle humorous gestures across to the violinists. What can I say? That’s L.A., laid back. They performed Tchaikovsky’s fifth symphony. We, the audience, gave Mehta a standing ovation. I’ve gone off on a nerdy binge here, but that’s me. These – books and music, especially classical music and ballet – are my greatest interests, and I tend to indulge. In this screen-time age (I’m putting this politely), I have few people with whom to discuss these interests. To my great pleasure, the other day when our music therapist visited Emma, she and I conversed animatedly about this composer and that classical piece; and she suggested I read Alex Ross’s The Rest Is Noise. When this book was published a few years ago, I had wanted to read it, but then forgot about it. So, before I could say Jeff Bezos, I had it downloaded to my Kindle. Emma read to me, recited nursery rhymes and sang children’s songs, such as “Frère Jacques” and “Horsey, Keep Your Tail Up,” from the time before I was born. My father had a huge collection of classical music and big band recordings. We had a black Steinway baby grand in the house. Both parents played and my father, who also played the clarinet in his youth, would sit at the keyboard and compose. He wrote a novel, too, but when he sent it out to be published, it was rejected. Of course, Emma gave me piano, ballet and tap lessons – my teacher was Jeannette MacDonald’s sister, Marie; and my daughter and I studied ballet together for years. We became family with our fellow dance students, some remain our friends; and our teacher, who had danced on Broadway, became a master teacher with American Ballet Theatre. (Our teacher for the first two years had danced under Balanchine at the New York City Ballet, thus threading our teacher lineage all the way back through Diaghilev to the Mariinsky.) From the time I learned to read, I always had a book in my lap, and I wrote. Love letters come in different formats. They come in songs, for instance. “This is a good song,” a guy I worked with would say to me. And then he’d sing a line of the lyrics. He is a rock musician. When he first came to work at our company, I didn’t want to have anything to do with him; I didn’t want to have to work with him. But our superiors forced us together, like an arranged marriage. We found we had a lot in common – love of the Beatles, and we both had huge record collections, for example. To my surprise, we talked, laughed and had a lot of fun together. He pursued me and pursued me, always coming to talk to me in the catering warehouse where we worked. He made overtures. The radio was always on, tuned to a pop music station. I’d catch myself talking to him in my mind when I was in my car or at home, when he wasn’t around. I couldn’t figure out why I did this, why I felt this way, and I couldn’t figure out why he continually pursued me, always by my side, always talking to me; he was married. And then I realized I was in love with him; it was probably love at first sight, but I didn’t think about it, because, well, he was married. “This is a good song,” he’d say, and then he’d sing the words conveying his feelings for me. I guess we women like to think, Well, he’s going to divorce his wife and be with me. But it didn’t work out that way. His four-year-old daughter needed an operation, so he had to find a job that offered medical insurance. One day, soon before the final curtain dropped, “This is a good song,” he said, when it came on the radio: How can you just walk away from me, when all I can do is watch you leave? … So take a look at me now, ‘cos there’s just an empty space. And there’s nothing left here to remind me, just the memory of your face… You’re the only one who really knew me at all. (Phil Collins, “Against All Odds”) I stood there one day and watched him walk away: I never saw him again. That was 23 years ago. It seems like yesterday. The song of life plays fast; before you know it, it is almost over. Seldom is there a refrain. If there is, I know I’d better sing it. As the curtain rises on my third act, I make this overture to you. The lyrics go that these days I choose my friends carefully. If I meet you and I like you, I invite you into my life, like picking notes from a basket to form a new measure. I want to talk to you, laugh with you, get to know you better. Am I picky or simply discriminating? I have the honor to know some very special and unique human beings, some who have been my friends for 40 years. Among the things we have in common is agreeing that we don’t know how we got this old. It is comforting to know that Zubin Mehta is older than I. Well, and Thomas Jefferson – way older. Trust me on this one. Thank you for having written this. I fully agree with your thoughts. ... a stone, a leaf, an unfound door; of a stone, a leaf, a door. And of all the forgotten faces. Naked and alone we came into exile. In her dark womb we did not know our mother's face; from the prison of her flesh have we come into the unspeakable and incommunicable prison of this earth. Which of us has known his brother? Which of us has looked into his father's heart? Which of us has not remained forever prison-pent? Which of us is not forever a stranger and alone? But I’m a creep, I’m a weirdo. "Tell me the way," she said, "and I'll search you out." "East o' the Sun, West o' the Moon," Norwegian Fairy Tale, illustration by Kay Nielsen. "The flowers are beginning their masquerade as people. Sir Jonquil begins the fun." Walter Crane (1845-1915) from "Flora's Feast: A Fairy's Festival of Flowers in Full Color." Dusk embraced us now, at the window here in the blog cupola. The Blue Deer lifted its head, sniffed the air, and then walked off into the woods. I pulled the window shut, picked up my purple and white iris the Phantom had picked for me and we headed down the winding staircase, I behind the Phantom. In case I stumbled I hoped he would catch me. If I went first I feared he would push me. I didn’t want to flatten my iris. When we reached the foot of the stairs, I thanked him again. We parted there. I lifted the iris to my nose. The stem had a nutmeggy smell, like his hand. “What is your name?” I called after him. “Moriarty,” he called back. -- S.M. I took a lunch break just now and sat out on my porch in the sun. I watched a dark raptor circle the broad grass plot between the houses across the street. A pair of crows came and chased the raptor, pecking at it. The raptor landed on the roof of the house next to the grass plot. Every time the crows pecked the raptor, the raptor ducked. Then it spread its wings, staying perched on the edge of the roof. Imposing. The raptor's mate showed up and perched beside it. The crows flew down, took a bath in a puddle and flew away. The mate flew away. The raptor left the roof, circled and landed on the grass plot. Now I could see, this was a turkey vulture, and it proceeded to eat what had been a squirrel. From the attic I view the fog hanging at eye level. In our tall, thin Victorian house, I have climbed the spiral staircase to the third floor and chanced to look out the window at apparitions of trees and through the belfry in the church steeple at the heavy black bells, the condensation tintinnabulation off the gray, dripping cloud beyond, and faint lights here and there, like spirits holding lanterns, seeking their way up out of the Underground Railroad, while the fog descends, descends upon them. I watch the fog cloud stealthily drape steeples, trees, houses, and, I can see, it is soon to inch down tree trunks and creep across lawns and up steps and onto Victorian porches. Carol and T.J. are freelance writers. If you have a project idea, contact us. We'll be delighted to discuss it with you. Moriarty, the Phantom of the Blog, thought a fan base was something upon which you stood an apparatus with rotating blades for circulating the air. I said yes, but what we want here is to keep readers informed on your amusing behavior. Please help keep Scheherazade's stories coming lest the sultan behead her. Click or tap the image to travel to my Journalism Portfolio, Carol Child Communications. Click on the images of the authors' books in the posts, in the sidebars and on the "Bookstore" page accessed via the top menu bar, and you can find out more and buy them on Amazon. The Scheherazade Chronicles receives a small sales percentage, so, be heartwarmed that on the day you've clicked through us to buy on Amazon, you've not only helped the author but also bought us a light lunch. Journalism Clips Magazine & newspaper feature stories clips under my byline Carol Child. The Scheherazade Chronicles on Facebook Shards of stories woven along the Silk Road of this life.